Must Love Dogs meets My Not So Perfect Life in this hilarious romantic comedy about a dog trainer who's a master at managing her four-legged friends, but when it comes to her love life . . . let's just say she still has a lot to learn. But all that changes when she meets Charlie Gill, the hottest client she's ever had. The only problem? Charlie's taken. Luckily, Cora has a new friend—the sweet, lovably geeky Eli Crawford. More loyal than a retriever, he's always there to help Cora with her problems, including her love life. That's why she's shocked to realize that even as things start heating up with Charlie, there might just be a more-than-friends spark between her and Eli, too. 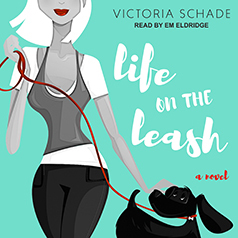 As Cora's life gets more tangled up than a dogwalker's leashes—and as she prepares to audition for a dog-training TV show that may irrevocably change her entire life—she has to figure things out before it all goes straight to the dogs.